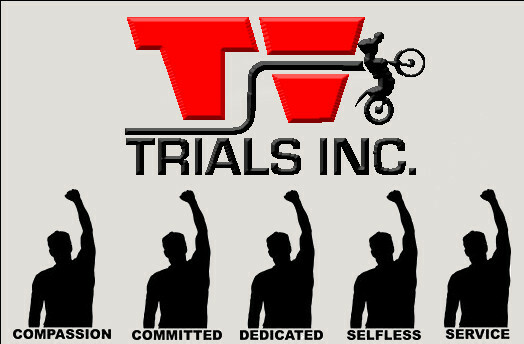 Trials Inc. has established this Hall of Fame to not only honor its deserving member, but also to honor Royce Klein, the man who established the high standards that the inductees of the Hall are measured by: To be inducted into this Hall of Fame Inductees must have possessed some of the traits that made Royce Klein a legend in the Trials Inc. Organization. Compassion - No matter how bad the situation was, Royce would handle it with compassion to get to a solution. Committed - Royce would see what the club needed and commit himself to fill that need. Dedicated - Royce was always dedicated to the sport of trials and to the club his father founded; Trials Inc.
Selfless - Royce was always ready, willing and able to help someone else and always put himself second to their needs. Service - Royce always served the club in many positions and was always available to help with his knowledge. Royce, being one of the sons of the Founding Fathers (Edwin Klein) that started Trials Inc, he has been involved with motorcycling from a very early age. As a TI member Royce has held every one of the Officer Positions within Trials Inc. But it is the non-titled positions where Royce shined the brightest. Every sport needs its enthusiasts, a "spark plug" if you will, that no matter how big the challenge can energize everyone around them. Royce did that time and time again motivating people with his work ethic, calm demeanor and his loyalty to his family and friends. 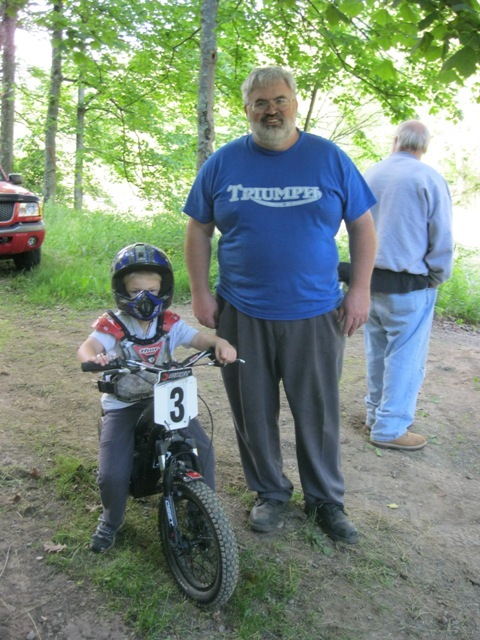 He was the Trials Master of all of the Northern Ohio events since the "70s" including Nationals, local events, modern and vintage events, motorcycle rallies, reliability runs and off-road competitions as well. His experience is what made Trials Inc. "The Premier Trials Club in the U.S."
Royce was on every Committee and sub-committee T.I. had. He also served in safety seminars, and rule committee meetings with the AMA. Royce was a Mechanic for anyone that showed up to an event with problems, motorcycle or otherwise, Club Historian, Photo organizer, the list goes on. When not volunteering his time he would compete in trials events, always with a smile. He enjoyed all types of motor sports and camping, but especially enjoyed the camaraderie with his fellow motorcycle enthusiasts. It was not about wining, but he would rather be there to help a friend out and would have a fun ride. He was a gifted, self-taught mechanic and could be relied upon whenever needed. All Royce's children, Amanda, Kim and Joe had joined him riding and competing in trials throughout the years. His wife Sue has served the club in many capacities and was always at Royce's side. He loved working with youth and had taught an unnumbered amount of children, including his grandchildren, how to ride.